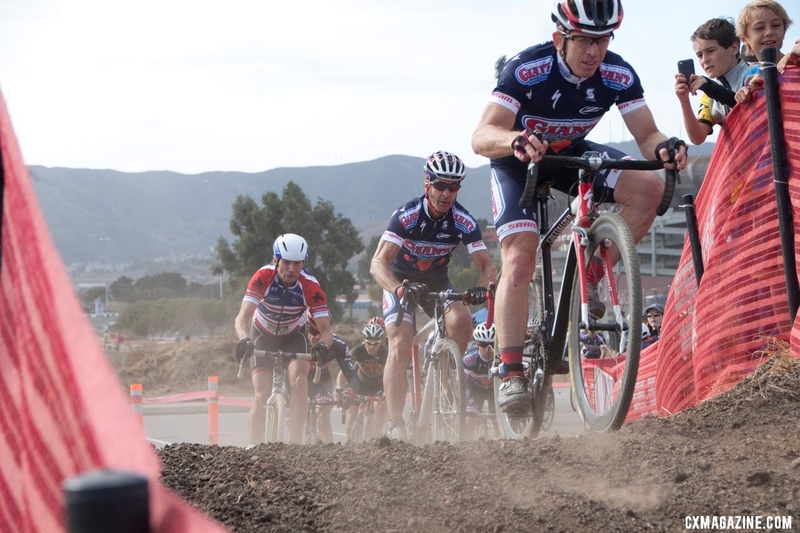 In the second installment of the Bay Area Super Prestige (BASP) cyclocross races presented by Clif Bar, the top Elite Men’s and Women’s racers took to alternatives to the traditional cyclocross bikes to grab commanding victories. Hidden deep in the Master B 35+ race was a racer on a traditional cyclocross bike with a more storied past and path to the finish line, as former Tour de France stage winner, Norweigian road pro Dag Otto Lauritzen brought a television crew to document his first-ever cyclocross race (stay tuned for more on that story). 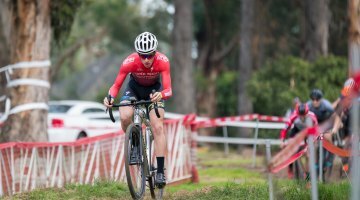 Ben Jacques-Maynes (Ritte/Bear Development Team) rode his disc brake singlespeed and made it two-for-two for his weekend’s cyclocross racing, by overtaking a fast-starting Walton Brush (MashSF) to win the Elite Men’s race. The windy and dusty racing at Candlestick Point also saw a new Bay Area Super Prestige cyclocross women’s race winner, as Helene Drumm, taking advantage of the loose terrain and sand with her mountain bike, won the Elite Women’s race ahead of Masters World Champ Karen Brems. 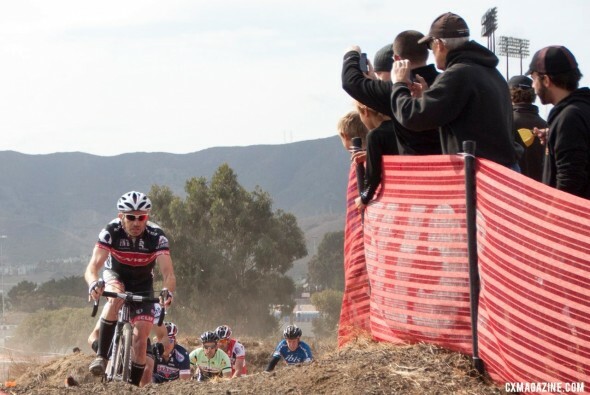 The small but NorCal strong women’s field resulted in competitive, world-class racing. 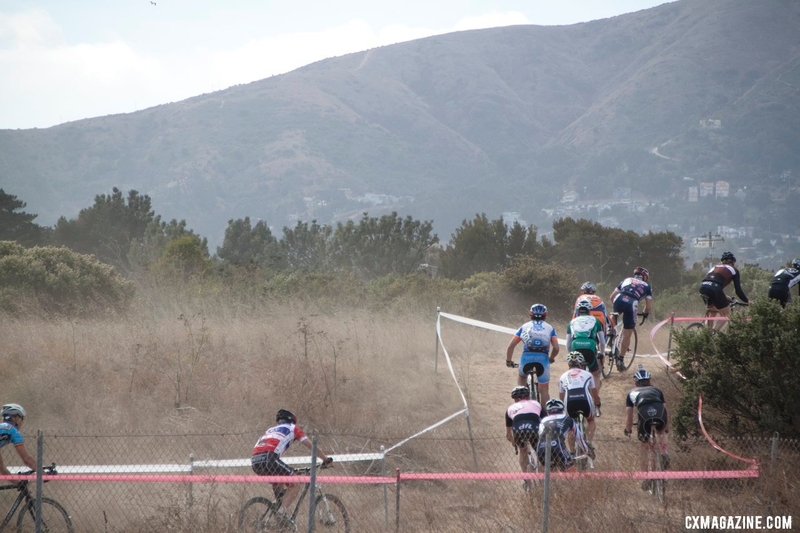 Candlestick Point Repêchage ran in reverse to the course used earlier this month but was the same twisting, bumpy course. The loose sections were more torn up, creating Holland-like sand pits, but also rocky sections that created technical challenges. An awful lot of flats and double flats were reported from the day’s racing — misery had plenty of company. As the wind picked up, dust made visibility and breathing more challenging. For the Elite Women’s race, Drumm grabbed the holeshot and took off from there. At the first set of TRP Brake Zone plank barriers, Drumm’s lead over Masters World Champion Karen Brems (Team Rambuski Law) was a whopping 22 seconds. The next lap the gap grew to 38 seconds and kept growing. 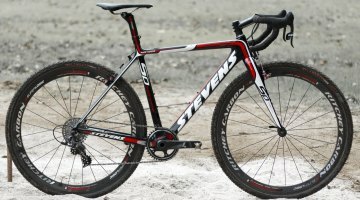 The wider tires on Drumm’s mountain bike provided an advantage for the many soft, sandy sections. Although this was a significant edge for her, Drumm still had her work cut out for her to stay ahead of the capable and threatening former world time trial champion Brems. “I think I had a good advantage with [the bike],” said Drumm, “It smoothed it out nicely and I was able to stay nice and smooth. 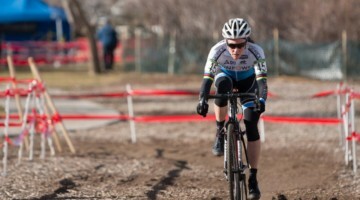 I never had any issues [and] just cruised right through everything.” Drumm explained she has difficulty in finding a cyclocross bike comfortable enough for her to race. Brems took second in the race, finishing one place away from matching Jacques-Maynes’ two-win weekend, both contesting the previous day’s Lion of Fairfax race. In third place was Kristin Drumm (Cycles Fanatic Racing), sister of Helene. 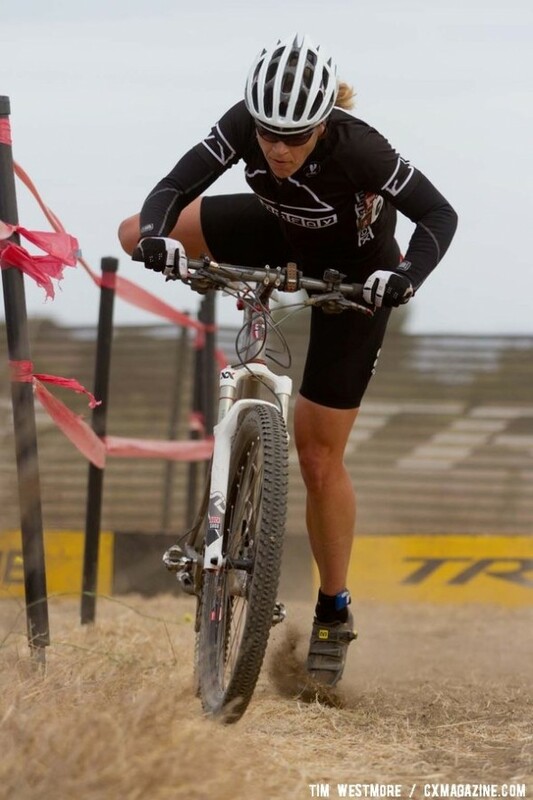 Sarah Jordan (Bicycle Bluebook/HRS/Rock Lobster) was fourth whilst Jen Jordan (Mellow Motors) secured her first BASP-podium in three years by coming home in fifth place. Brush grabbed the holeshot for the Elite Men’s race and set a cracking pace for the first lap. 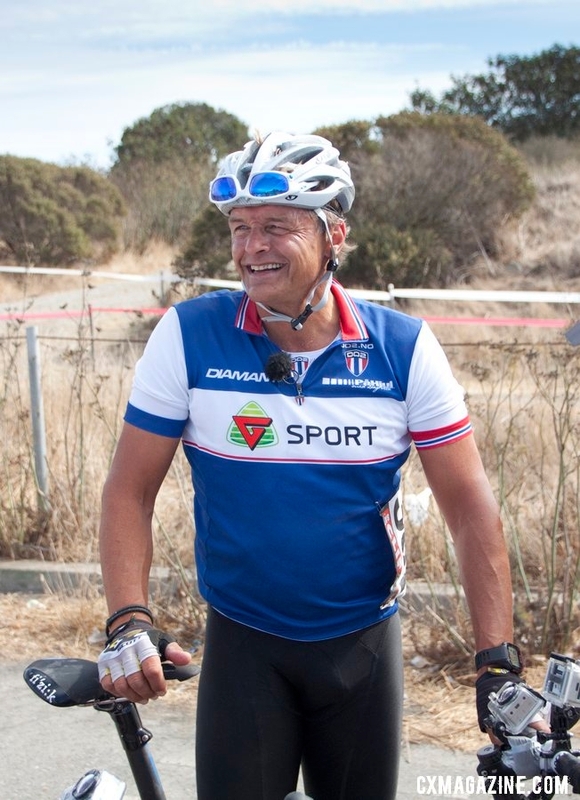 He didn’t falter much, as he remained well ahead of the rest of the field, but midway through the second lap Jacques-Maynes passed the MashSF racer. 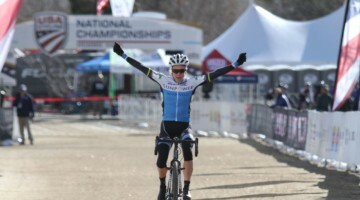 From here to the finish, Jacques-Maynes continued to apply pressure and build his lead, and the professional road racer and former collegiate cyclocross National Champion made it look easy on the tough course. 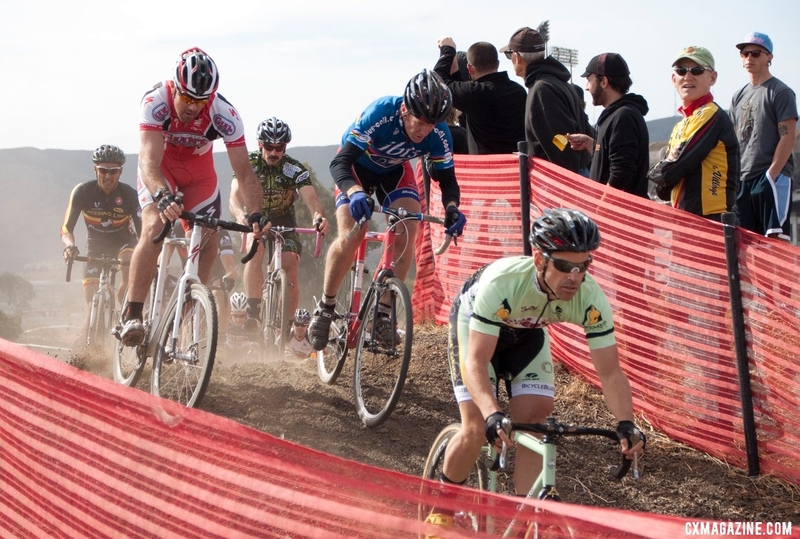 The only remaining threat in Jacques-Maynes’ race was a dollar grab on the small hill just before the finish. Spectators had been encouraging racers on the tricky section to go for the money and, on the final lap, Jacques-Maynes obliged. The attempt ended up with him putting his bike down. He had enough of a gap by then to recover and claim his win as well as the dollar bill. Brush took second place with Cameron Walters finishing in third. 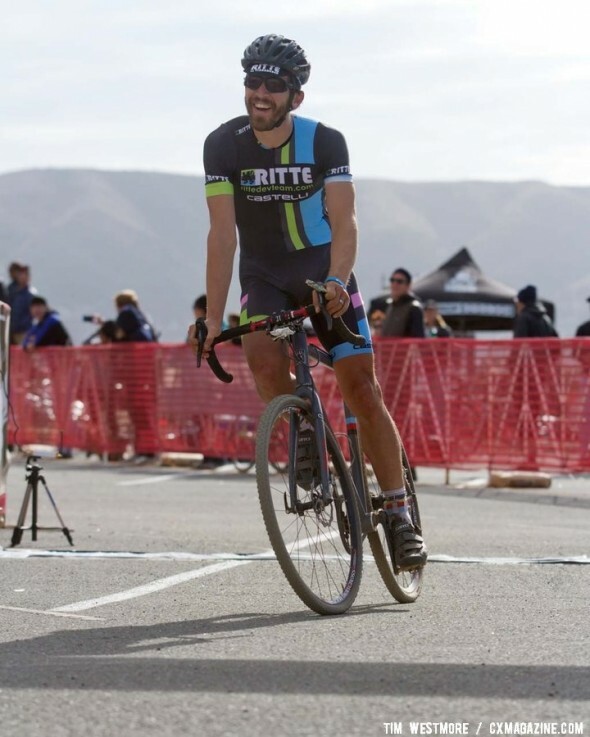 Keith Hillier (Team Rambuski Law) worked his way late up to fourth place whilst Juan Gomez-Villafane (Ibis/Buy-cell.com) crossed the finish line in fifth. These top five represented a new look for the Elite Men’s podium that has been typically dominated by Bay101/Rock Lobster and Cal Giant/Specialized racers in years past. Just outside the top five was Justin Robinson (California Giant/Specialized), who had put in a charge to get up to third but faltered late after winning the Masters 35+ race earlier in the day. BASP heads a little south for their next race on 10 November. It is the popular and exciting Sierra Point Night Race – the self-described “high school football game” for the series. With the recent rains, there is a good possibility of less dust out on course but, either way, the racing is certain to thrill the spectators. Results below the photo and video.